Contact7 is once again digging into complaints that a local used car dealership, with connections to a prior Contact7 investigation, knowingly sold vehicles with mechanical issues to the public. That dealership denies those accusations. 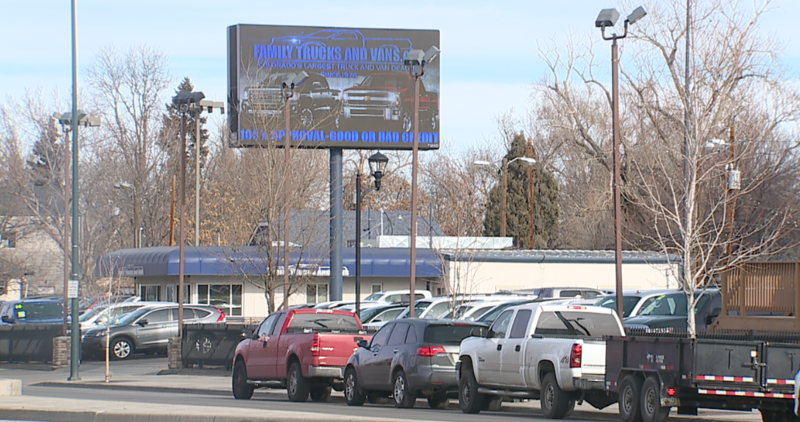 DENVER — Contact7 is once again digging into complaints that a local used car dealership, with connections to a prior Contact7 investigation, knowingly sold vehicles with mechanical issues to the public. That dealership denies those accusations. Family Trucks and Vans (FTV) on South Broadway in Denver is accused of selling used vehicles with mechanical issues that were not disclosed or weren't fixed as requested by the buyer. “My check engine light came on, and I believe that was two weeks later,” said FTV vehicle customer Amanda Frausto-Ruiz. She bought a 2015 Dodge Journey from the dealership to drive her four kids to school. She says her problems started with that check engine light and it only got worse. “It started leaking. All this oil is from this one,” she said, pointing to several large oil spots on her driveway. She says she took the car back and forth to the shop multiple times for weeks on end. Eventually, she says her husband found metal shavings inside her vehicle’s oil. “Dodge actually told us that the car, if it’s having that many problems, the motor might not make it because it’s already knocking,” she said. The mother of four says she bought the car “as is” from the dealer. Contact7 asked her what she believes she was sold. As a result of a Contact7 investigation into The Sharpest Rides, multiple viewers reached out to us and said they too had problems with their vehicles from Family Trucks and Vans. One customer claimed her car was sold to her “full of recalls,” like an airbag problem and seat belt issues. Another claims they bought a truck, but before they could make the first payment it was repossessed and taken back to the dealership. That same customer says a salesman there then tried to sell it back to her. Family Trucks and Vans had also been investigated for “misrepresentation” at least three times in the last two years by the Colorado Department of Revenue’s Auto Industry Division. “We wouldn’t be in business that long at the same location if we didn’t do things right,” said FTV General Manager Naiche Sedillos. Sedillos sat down with Contact7 and addressed the complaints. “The volume of cars we’ve sold in 43 years, I’d say it’s just a few [complaints]. It’s minor,” he said. All cars sold at FTV are used and are sold “as is.” Contact7’s Jason Gruenauer asked if that makes the dealership not accountable if the vehicle breaks days or weeks after a customer drives it off the lot. “No, we shouldn’t be accountable,” said Sedillos, citing that warranties are also an option when they sell vehicles. Both the complaints against the dealership and many of the Sedillos' answers were similar to the Contact7 investigation of The Sharpest Rides. “It’s a pre-owned vehicle. It’s got moving parts and oil, and things happen,” said Sharpest Rides General Manager Robert Lipp in November. The Sharpest Rides is owned by Kevin Sharp. His father, Jon Sharp, owns family Trucks and Vans. “There’s not any other connection really than that,” said Sedillos. Except there is. Vehicles from both Family Trucks and Vans and The Sharpest Rides are repaired at the same facility, The Sharpest Automotive. “You share a repair shop?” asked Contact7’s Gruenauer. “We do, in a sense,” answered Sedillos. The Sharpest Automotive is the same shop where former employee Ruben Castillo worked. He spoke to Contact7 in November after the original Sharpest Rides investigation broke. “You’re saying you were instructed to take broken or mechanically deficient vehicles and send them back to be sold?” he was asked. “Correct.,” he replied, claiming it happened multiple times over the 2 1/2 years he was employed. Contact7 asked Sedillo if that meant those types of vehicles could have come back to Family Trucks and Vans to be sold. Sedillo maintained the dealership has done nothing wrong, adding that they donate to charity and help people with bad credit. He said the dealership has never “cleared” check engine lights to purposely hide a flaw, and has never sold a vehicle with issues without disclosing them. But that doesn't help Frausto-Ruiz. “I’m going to be paying for a car that’s not working,” she said.